MILAN -- Fiat S.p.A. CEO Sergio Marchionne said he's not planning to hold an initial public offering for Chrysler Group or consider listing Ferrari S.p.A. given the worsening financial market situation. There's no "urgency" to merge Fiat and Chrysler, Marchionne, who is also CEO of the U.S. carmaker, said. Fiat currently owns 53.5 percent of Chrysler. Marchionne added that he's not in talks to buy the remaining Chrysler stake. Marchionne said he now sees 2011 car sales being worse than he originally expected and said 2012 will also be difficult. Fiat's performance this year is "in line" with targets, which already factored in a degree of "uncertainty," he added. "In these moments of uncertainty, the market can't do well," Marchionne told reporters at the Frankfurt auto show. "We suspended some decisions. I want to see how this story ends," he added. Marchionne is struggling to turn around European operations after posting losses in Fiat's biggest market and losing ground to competitors. Fiat's European market share shrank to 7.2 percent in the first half from 8.1 percent a year earlier as deliveries fell 13 percent. Marchionne appointed purchasing chief Gianni Coda in July to run Fiat and Chrysler in the region. 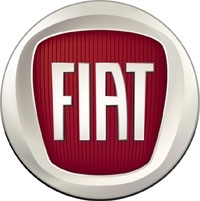 Fiat revised its full-year earnings targets in July, forecasting 2011 earnings before interest, tax and one-time items, which it calls trading profit, of about 2.1 billion euros ($3 billion) and revenue of more than 58 billion euros. Excluding Chrysler, which is incorporated in the figures, Fiat estimates a trading profit of as much as 1.2 billion euros on 37 billion euros in sales.